The Commercial Strategy Manager is a new position in the commercial team that will work closely with the GR and ER teams for the business environment analysis. Leads the development of strategy and ensures the delivery of effective support to business management. Must have a significant understanding of how government institutions and processes work in Tanzania and of the relative positions of key players in terms of levels of influence and decision-making capabilities (through power mapping, executed together with GR). 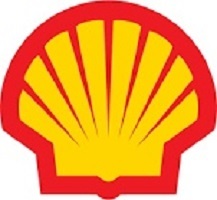 Drives the integration of Shell’s understanding of government drivers with internal analysis of commercial and economic project requirements into a coherent business strategy. Is accountable for proactively scouting for emerging issues and for gathering, processing and analyzing commercial impact within the company as relevant. Develops and provides oversight on the implementation of robust stakeholder engagement plans for the Legislature and the Executive (Ministries, Departments, and Agencies) to advance business objectives. Promote Oil and Gas industry capacity building for relevant players in government to ensure a better understanding of the industry towards informed policy developments. Confident and trusted individual with a minimum of 10 years’ experience in Strategy, Commercial or GR roles. Previous relevant experience working with Government or its agencies will be considered but not a pre-requisite. Experience in issues management, or working key issues in the business, is a significant advantage. Sound knowledge of the workings of the Tanzanian government and the intricacies of the dynamics of power, plus the ability to contextualize the Tanzanian experience in the global setting. Demonstrable knowledge of key current business issues, up to levels relevant for advocacy. Strong interpersonal skills and team player, able to work effectively with both internal and external stakeholders at all levels. Ability to identify opportunities and risks for advancing business interest. Member of a 6-person team consisting of 4 commercial staff and 2 economists, reporting to the GM Commercial.